Welcome to MiamiFoodReview.com ("MFR," “MiamiFoodReview” "we," "us" or "our"). 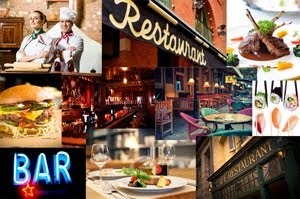 MiamiFoodReview.com is a blog dedicated to providing content related to restaurants, bars, lounges, cafes, food, recipes and other entertainment and food related topics. MiamiFoodReview.com posts reviews, listings and opinions about products and/or establishments, users/visitors to the site will also post their comments and opinions. Google's use of the DoubleClick cookie enables it and its partners to serve ads to miamifoodreview.com users based on users visit to our sites and/or other sites on the Internet. We have various ad networks that serve ads on our sites or that we partner with, following are links to those networks: www.cj.com, www.linkshare.com, www.luminate.com, www.chitika.com, www.pepperjamnetwork.com (ebay enterprises), www.adclickmedia.com and www.adzay.com. Personal Information: To receive your Miami Food Review emails, we require your email address. Similarly, to provide you with text messaging services, we need your phone number and your provider information. So that we may provide you with additional services, we may also request your name, geographical coordinates and telephone number. Miami Food Review does not collect any other personally identifiable information that you do not expressly provide. Miami Food Review will never sell, rent or share your personal information, including your email address, with any third parties for marketing purposes without your express permission. Miami Food Review may share your personal information for the purpose of delivering our email to you or as required by law. Non-personal Information: We may also request non-personally identifiable information, such as annual income, shopping preferences or age, also known as demographic and profile data, though this information is optional. We may use this data to improve our site and/or tailor your experience at our site, showing you or delivering to you by email content that we think might be of interest to you, and displaying content according to your preferences. We may also share this information with others, such as advertisers interested in advertising in Miami Food Review emails or on our site, in aggregate, anonymous form, which means that the information will not contain any personally identifiable information about you or any other person. Usage Information: In addition to collecting personal and non-personal information, Miami Food Review may also collect non-personal, aggregated information about subscribers' use of our site. This information is not personally identifiable and will only be used to find out how subscribers use our service and site. For example, this information will tell us how much time users spend on our site, from which other sites subscribers came, and to what other sites subscribers go. The collection of this information allows us, among other things, to prepare for traffic load demands and to efficiently deliver your emails. Review and Access: Upon your request, we will provide you with a summary of the information we collect about you. You will have an opportunity to correct, update or modify this information. Choice/Opt-Out: If we ever send you information by email concerning new products or services that you did not expressly request, we will provide you with an email address by which you may request no future notices. Third-Party Advertising: Some of the ads appearing on our website may be delivered to you by our web advertising partner or partners. Information about your visit to a partner site or sites, such as the number of times you have viewed an ad (but not your name, address or other personal information), is used to serve ads to you. For more information about our advertising partner or partners, cookies and how to opt out. Third-Party Cookies: In the course of serving advertisements to this site, our third-party advertisers may place or recognize a unique cookie on your browser. Links to Other Sites: As part of the service, Miami Food Review may create links allowing you to access third-party sites. Miami Food Review is not responsible for the content that appears on those sites and does not endorse these sites. Please consult those sites' individual privacy policies in order to determine how they treat user information. Modification to This Policy: Miami Food Review may change this policy, but we'll post any changes here, so be sure to check back for future information.